The Milan Design Week is one of the annual highlights for fans of innovative architecture and sophisticated design concepts. The GROHE DESIGN team will be presenting a one of a kind installation in the courtyard and, in its completely redesigned showroom, will be showcasing for the first time the new GROHE ATRIO SPA collection - celebrating the new icon of elegance and precision. Inspiration and creation at the highest level – when the Milan Design Week welcomes the international design and architecture scene on the 17th of April, GROHE will present the reinterpretation of a new designicon: As part of the designevent Fuorisalone, visitors will be invited to GROHE ATRIO’s exclusive product launch at the newly designed GROHE showroom at Via Crocefisso 19. An inspiring designinstallation will present the new line in a dramatic and dynamic experience for visitors.With its design, the product line sets the tone for the next generation of timeless yet contemporary design. Like no other trade fair,the Milan Design Week standsfor exclusive insights into the industry trends. From the 17th to the 22nd of April, Milan will once again be the meeting place for architects, interior designers, trade press and design-savvy customers from all over the world. The centrepiece of the trade fair isthe Fuorisalone, which attracts hundreds of thousands of visitors each year. The design elite and young talents,as well as global brands will be presenting a special kind of showcase throughout the city centre, using pop-up exhibitions, demonstrations,and events. 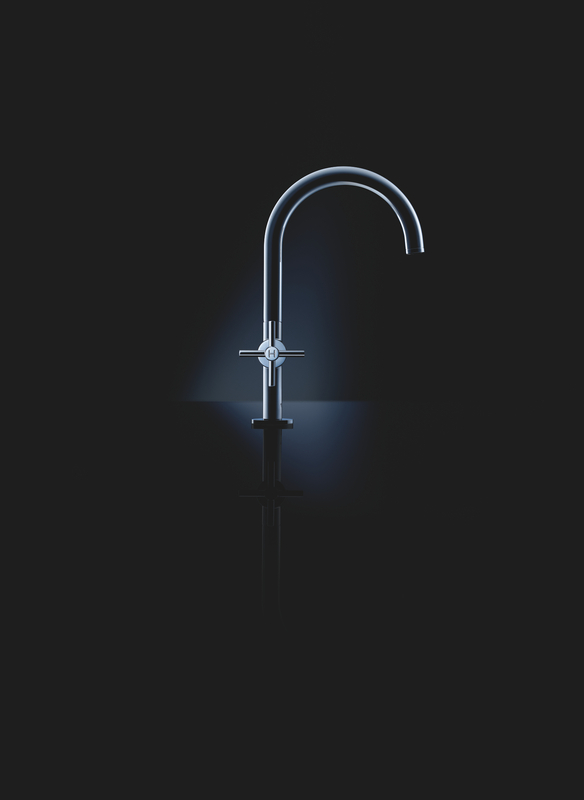 GROHE, and its award-winning design team, has to be part of it! This year, GROHE will bepart of this design show of superlatives in the heart of Milan.Just in time for the start of the Fuorisalone, the GROHE showroom will be open to visitors starting on the 17th of April.The public will be invitedto visually as well as sensually experience the GROHE product lines in their latest trend colors: GROHE ATRIO in striking Brushed Hard Graphite,GROHE ESSENCE in classy Warm Sunset,and GROHE Lineare in purist Chrome.With GROHE ESSENCE Spa Colours and the luxurious shower AQUASYMPHONY, GROHE will present two product lines that stand for stylish design in a unique symbiosis of form and function,transforming the bathroom into a wellness oasis. 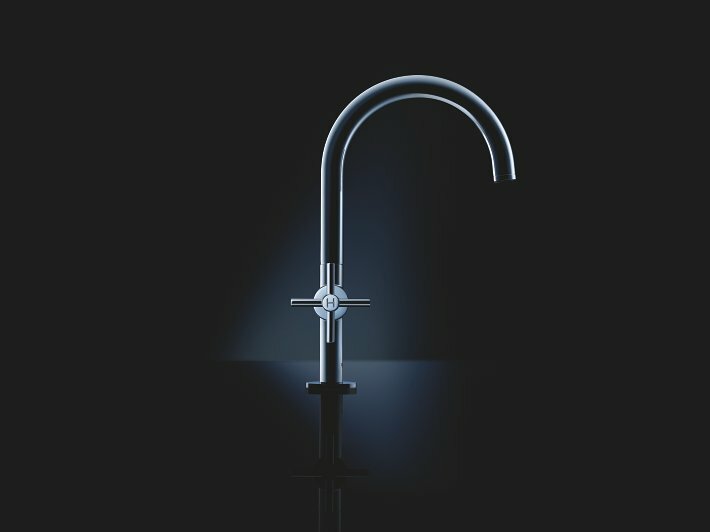 Other highlights will include the GROHEwater systems RED and BLUE HOME, which,directly from the attractive kitchen faucet,provide water that is either heated to 100 °C or filtered and chilledto the optimum drinking temperature in the versions still, medium and sparkling. Hence, every visitor can look forward to a delicious refreshment. 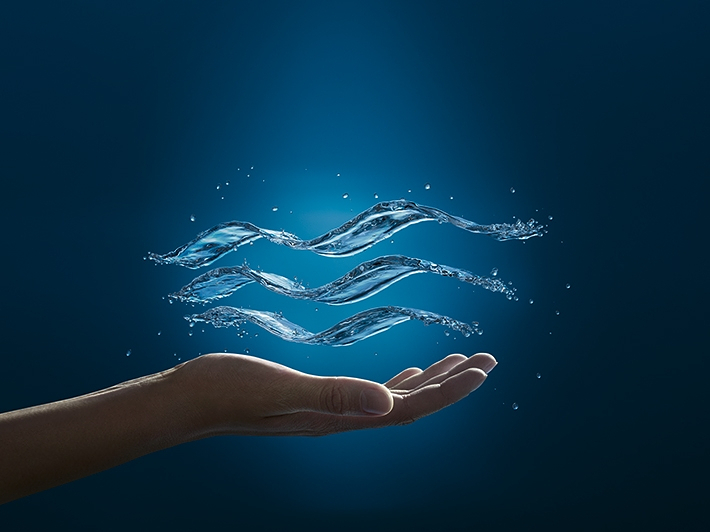 On the 18th of April, GROHE will welcome media representatives to a press breakfast followed by a tour of the showroom and the art installation. At night,there will be an exclusive VIP dinner for invited guests from the architecture and design industry. GROHEs showroom and the ATRIO installation will be open to the public from 10 am to 8 pm from the 17th to the 22nd of April; on Wednesday, April 18th the showroom will be open on 10 am to 2 pm.